MUMBAI: Platinum-hitmaker Jonas Blue has shared a video taken during a Brazilian primary school’s English lesson teaching session, with the pupils of the class singing along to his new single Rise, featuring the vocals of Jack & Jack. The teacher, who is clearly a big fan of Jonas, asks the class of nine-year-old students to recite the lyrics during the musical lesson that helps in the sharpening of their language skills in the process. Since the track’s release last week, Rise has already surged to number #1 in the UK dance Shazam chart and has stormed into the Top 20 of the iTunes chart. 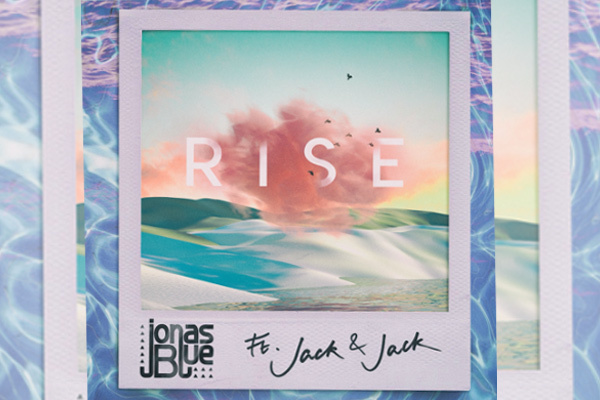 Spotify has also added Rise to their popular Hot Hits UK playlist, with the track amassing over five million streams. Jonas Blue, the UK’s biggest breakthrough act, has cemented himself as a permanent fixture in the charts so far in his career, surpassing four billion streams worldwide. With 3 x Top 5 UK singles to his name already, his debut single, Fast Car now has 39 platinum certifications worldwide, making Jonas a truly global phenomenon. Playing at Capital’s Summertime Ball, SW4 Festival and other festivals across Europe this summer, the four-time BRIT Award nominee is also gearing up for his Electronic Nature summer residency at Hï Ibiza, kicking off on 24 June 2018 that will run until 23 September. Hosting his first residency at one of the island’s premier clubbing destinations, Jonas looks set to take Ibiza by storm, and with Jonas Blue also setting up his record label Blue Future, you can expect to hear some big news on his debut signings soon! MUMBAI: Following a blockbuster 2018 led by multiple global smash singles and the release of debut album Blue, unstoppable UK producer/songwriter Jonas Blue has released his new hit-in-waiting What I Like About You featuring the exciting Danish pop artist Theresa Rex.